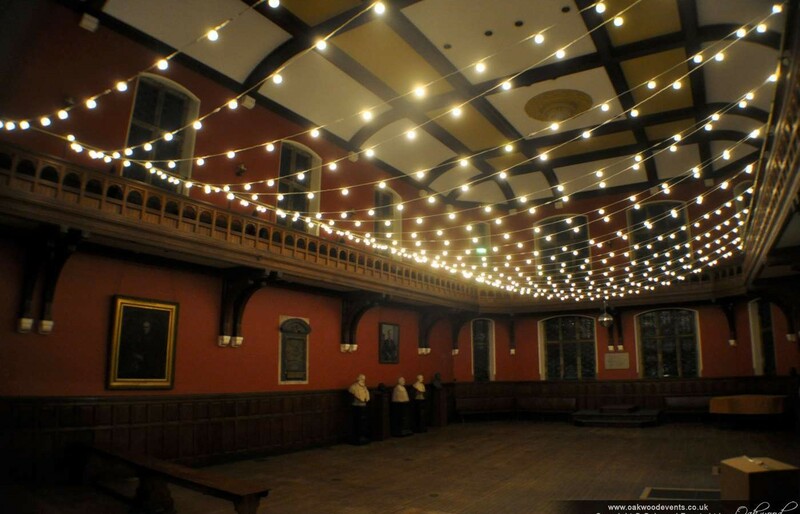 Festoon lights look great installed overhead as a ceiling canopy. 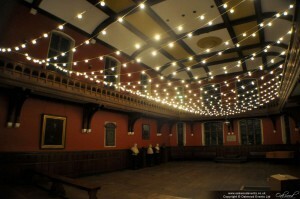 This one was at the Oxford Union in the debating chamber. They give a lovely warm, light that fills a room evenly and can be dimmed in the evening to set just the right mood. Just about visible at the end of the chamber (although not switched on), we also installed a mirror ball and spot lights over what was to become the dance floor.